Michael Mann is Distinguished Professor of Atmospheric Science at Penn State, with joint appointments in the Department of Geosciences and the Earth and Environmental Systems Institute (EESI). 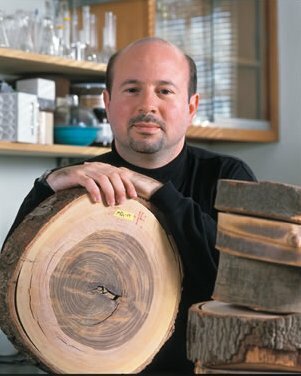 He is also director of the Penn State Earth System Science Center (ESSC). He is author of more than 200 peer-reviewed and edited publications, numerous op-eds and commentaries, and four books including Dire Predictions: Understanding Climate Change, The Hockey Stick and the Climate Wars: Dispatches from the Front Lines, and The Tantrum that Saved the World. The Madhouse Effect will be signed and sold at the event.